Bjorge went into second place on the sixth lap after Phil Prusak of Eau Claire led during the earlier laps. There was no change in the top four from the sixth to the 18th lap. On the 18th lap Bjorge went around Bob Shryock of Estherville who led from the start of the race. 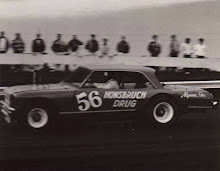 Then on the 27th lap Butch Householder of Algona moved ahead of Shryock for second. Here’s a wrap up of the other five races plus the time trials; A total of nine drivers broke the 25-second barrier over the half-mile oval. Pace setter was Mert Williams of Rochester who turned in a time of 24 seconds flat. Butch Householder of Algona was next in 24:03 with Phil Prusak of Eau Claire, Wis., 24:06, Joe Salner of St. Cloud, 24:50, and Dave Bjorge of Austin, 24:61, rounding out the top five. 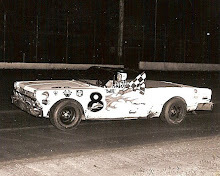 Jim Edgington of Fairmont was declared the winner of the first even though he did not complete the final lap. 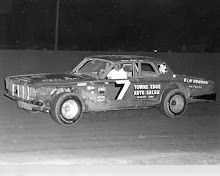 Edgington took the lead on the ninth lap from Jack Piper of Mason City, but spun out in the third corner of the last lap when Piper hooked him. Piper went on to finish ahead of the 12-car pack but was disqualified. Jim Calverley of Albert Lea, the early pace setter finished second with Phil Prusak of Eau Claire third. Edgington started on fourth row outside wheel. Dave Bjorge of Austin, taking the lead on the sixth lap from Lloyd Matter of Lyle, won by several car lengths in the second heat. Bjorge started on the sixth row inside and finished the 10 laps in 4:10, the time trial clocking. Matter finished second and Gerhard Wollenburg of Austin third. Starting from the back of the pack, time trial winner Mert Williams of Rochester skillfully worked his way into the lead on the ninth lap to win the third and final heat race. Paul Fitzpatrick of Rochester, who took the lead temporarily on the fifth lap, finished second with Bob Soma of Winnebago third. 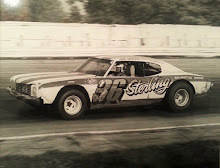 Gerhard Wollenburg of Austin, jumping off to a quick start, won the trophy dash by a quarter lap of his nearest rival, Dave Bjorge, also of Austin. Wollenburg started on the first row outside wheel. Bjorge had to battle toward the front from fourth row outside. Third in the fierce driving was Bill Oas of Minneapolis. 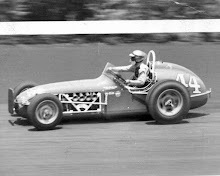 With only nine of 20 starters finishing the race, Al Metcalf of Minneapolis won the consolation event after starting on the fourth row outside. Metcalf took the lead on the sixth lap with Jack Piper of Mason City, who led during the early laps, second and Chuck Knutzman of New Richland, third. There were two restarts because of accidents, on the second and 12th lap with no personal injuries.